$109.99 – $129.99 $149.99 Save 13% Lowest Price Guarantee! Place your order within the next 10 hours and 27 minutes and your order will ship out TODAY with FREE SHIPPING. Named a Best Investment Bat by JustBatReviews.com! The Marucci Bat Company™ takes pride in turning top quality wooden baseball bats in the same tradition and precise technique of the earliest bat companies. Every Marucci Bat™ is cut, calibrated, balanced, buffed and lacquered by hand. The Marucci Bat Company™ uses top grade Maple billets cut from selected, naturally grown trees in Pennsylvania forests. This selection process insures the highest possible grade of wood for each bat. The Marucci Bat Company™ bats are 100 percent handmade or turned in small batches from an original design, then finished and detailed by hand. Each model is made to exacting specifications maximizing balance and ease of handling. The Marucci Albert Pujols Maple Wood Baseball Bat (AP5NB Adult) uses an Ultra Penetrating Stain that provides the best possible finish for your next Marucci Bat. Most impressive is the Bone Rubbing technique that The Marucci Bat Company™ uses. `Boning` bats began in the earliest days of baseball with players like Babe Ruth and Lou Gehrig. These Hall-of-Famers would spend hours in their dugouts rubbing their bats with old cow femur bones. Bone Rubbing closes the wood`s pores, compressing it and making it harder. Marucci uses the same technique on their bats, rubbing before the finish is applied to seal and harden the wood. Just another example of how Marucci takes the same pride in their bats as our baseball heroes once did. Experience the excellence of a Marucci Bat. Free Shipping! Register Your Bat / Make a Warranty Claim at http://warranty.maruccisports.com/. Pros: best wood bat ever. prefer it over metal. huge sweetspot. perfect for working on your swing in the cage. very hard to brake the bat. Pros: The Marucci bat is awesome. I play old man baseball and have won two World Series rings. The ball comes off this bat almost as good a aluminum. I am 11 for 12 in my last 14-at bats. I got hit once and intentionally walked the other time. Two triples and five doubles. I cannot say enough about this bat. Thanks Marucci! Pros: Extremely solid, well balanced and worth every penny. Pros: Strong bat to hit with against older, faster pitching. Good sweet spot! Cons: Broke on handle on inside fastball, and players seemed to think it was top heavy. Pros: Excellent bat, well worth the price, great pop, Strong! Pros: Balanced, great pop, nice handle, durable. Pros: Perfect wood bat. Has a lot of pop and the ball really flies off the bat. A little top heavy but that generates quick hands. Definatley see why Pujols uses this bat. Cons: Marks show easily but that just shows you are hitting the ball hard. Pros: Outstanding Pop! Makes the new BBCOR bats seem like a Tinker Toy. Cons: New bat broke first time out in Peoria AZ tournament. Very disappointed. Pros: just purchased it and used it in a game same day. It has serious pop. The ball had a new zip code after I hit it. Excellent bat! Pros: Bat hits hard. My son is now fanatically attached to this bat and he hit the snot out of the ball in fall league. The "bone rubbed" thing really seems to distinguish this bat from two other maples he tried. He likes the thin handle and knob taper of the Pujols model AP5NB. Cons: Not really a con, but if you swing 90 mph like my son does, a thin handled bat can break if you hit it off the end. (and he's lost a couple) If you are risk averse or don't need a really thin handle there are Marucci bats that have a slightly thicker handle. Great bats. Pros: Greatest wood bat that I have ever purchased. The pop is amazing and weight distribution is incredible. Thinking about buying another one, considering the fact that mine broke. Pros: Got this bat for my son, and he said he loves this bat, the bat has a nice feel and sweet spot, I already placed a order for a second one just for a back up. Cons: Junk. Bat broke the first week I had it (40-80)swings. Customer service @ Marucci is horrible. Pros: I've had this bat for around a year now and it's still hitting the same as the day I got it in the mail. Amazing pop, very strong wood, great balance, huge sweet spot. Its the perfect bat if you want to hit for power. Pros: I had a huge problem with breaking bats - ash, maple, Louisville Slugger, Mizuno, etc. I was burning through bats and really needed some value out of my investments so I decided to pay a little extra and purchase a Marucci bat. I'm 6'4 260 and a power hitter. I decided to try this bat and the Chase Utley model. Both bats are excellent but for a power hitter, this bat specifically is phenomenal. Balanced, with a lot of pop, great size handle and knob, looks great, and the pros use it. They (Marucci bats) will give you greater bat life for those times when you get jammed and you have no choice but to take the pitch off the handle or you are protecting with two strikes and you foul one of the very end of the barrel. If you have a little bit of extra money to spend I highly recommend this to anyone who hits for power - it's a worthy investment. Pros: best wood bat on the market hands down, better pop than most of the top of the line BBCORS highly reccomend! Cons: high price, but believe me ITS WORTH THE MONEY. Pros: great wood bat has tons of pop! !i was 3 for 3 until the bat snapped in half after only 3 hits but over all its a great bat..im glad it still had warranty! !i sticking to this bat wont use another!!! Pros: Very hard bat, and the pop is unbelievable. I play college baseball and Marucci bats are definitely the right way to go. I love more barrel then handle. This bat has a huge barrel and a thin handle. Cons: I purchased this bat and on my second at bat i cracked it from the beginning of the black almost all the way up to the top of it. I called in and explained what had happened and they sent me a brand new bat free of charge. Pros: This bat is great has a ton of pop and looks great too. Now Marucci is a first choice. Cons: Only one thing and that is the marks show very easily. Pros: Bat has the best pop for the buck and Just Bats has the best staff to deal with! Pros: Had this bat since the start of the season and it is great. This is definitely the best bat I have ever owned. The ball just jumps off the bat! It held up for the entire season too. Pros: made real well, loved the look and feel. Its a good buy. Cons: broke on the first week of use. Barreled ball but bat splintered. bat-less buck. Pros: This bat is great. Has a lot of pop. Well balanced. Handle feels great. Cant even feel it when you hit with it Looks Good Too. Best wood bat I've had. GREAT BAT! Pros: has a lot pop of the bat and a larger sweet spot than most other wood bats i have used. Also the weight is pretty evenly distributed so it does not feel too heavy. Pros: I'm a gap-line drive hitter, not a power hitter and I love this bat. You don't need to be a power hitter just strong enough, or else you won't get the full advantages. Really balanced. pop like you can't believe. Pros: overall great bat. Best wood bat i have ever had. Marucci makes some great wood bats and when you hit with it you can tell all of the extra time and effort they put into it. Cons: there are a few scratches and dings in it but what bat does not have that? Pros: Just because Pujols uses this bat doesn't mean it's good for everyone, he is a very big and strong guy, more so than most. This bat has a nice thin handle, which I like and the tapered handle has a good feel. It has decent pop, but not more than other quality wood bats. Cons: I consider this a con, but you may not - this bat is very barrel heavy. After swinging this in a 34 and then swinging different bats in 34, the other bats just feel lighter because of their weight distribution. While I do like the thin handle feel, this bat broke on an inside curveball in my 4th game with it. Personally, I will not buy this bat again, I feel there are better bats out there for my swing. BUT, I can't speak for everyone. Pros: Great bat overall, has alot of pop and balance. Cons: Breaks easily if not hit on barrel. Cons: Broke after 5 games and less than 20 at bats. No warranty from Marucci! Out $120.00! Pros: Great pop. Well balanced. Great looking bat. Pros: This bat didn't come with a warranty but JustBats provided a one time replacement. Cons: This bat broke almost immediately after using the first time. I was able to get a replacement bat but that one broke as well. Need a better warranty if the failure rate is this bad. Pros: This is one of the best wood bats I've used. I've tried every wood bat out there, but nothing compares to this bat. Slight end-load for you power hitters and just a great wood bat. Pros: Great bat amazing pop and is balanced well. it has a thick barrel and is thin towards the handle so if you get jammed it will break but its the best maple bat i have owned by far. Pros: Best wood bat ive ever use. Wouldnt trade it for any other wood bat. I ve had it for a year and used it in several tournaments and taken plenty bp with it and has not broke or cracked at all. Pros: Good pop and light swing. Cons: Broke after 3 uses. Pros: AWESOME. It bounces of the sweetspot. I lnow its just a little on the expensive side it is worth it. Pros: there is nothing like the sound of a wood bat. great bat. i bought 2 more. Pros: This is by far the best bat I have used EVER. The handle is perfect not too big not too small just right. The feel of it is amazing it is overall a balanced bat but its got that slight endloadness which gives it that power. The durability is absolutely amazing. The pop is almost as good as my demarini metal bat! The colors and finish of the bat is amazing. I will use nothing else but the ap5 and marucci. Cons: NOTHING AT ALL. PERIOD. Pros: Just started hitting with this bat, and it's amazing. NO sting. VERY durable. Took a few off the handle and the bats fine. GET THIS BAT! Cons: On my 2nd swing after purchase, bat shattered into two pieces-no splintering, just clean break; completely dried out wood. Obviously, no quality control at Marucci! Pros: Nice weight distribution. Swings lighter than you expect. Nice pop. Love the sound of the compressed maple. Cons: Overrated, doesn't have great pop and it has a small sweet spot. Pros: Great feel, thick enough handle for those who like thick handles but not too thick that those who like smaller handles will have any dislike for it, nice barrel size, great sweet spot, good weight distribution, thick grains (atleast on the one I bought) other than the one con, great bat great feel. Highly recommend for anyone who likes a solid bat. Cons: If you do not like more of a top heavier kind of bat you might not like this. Pros: Last night I hit my first homerun of my lifetime with this bat on a field that is 250-310-250 right up centerfield. I love this bat. Pros: It has amazing pop for a wood bat. It's really durable as well. Pros: I've had this bat for a while now and i have been using it on and off during games and tournaments and it has held up great! Great Pop! Good Looking! Very Balanced! Pros: Great bat had amazing pop Big sweet spot, lasted me about a year and while hitting everyday. I am a NCAA D1 College baseball player and I only swing the AP5. If your not a fan of marucci, Sam Bat CD1 is the way to go. Pros: Very durable bat. The bat is also more balanced than the other wood bats I have. Cons: The bat felt dead about 3 weeks after I bought it. Pros: Has a good look, good pop (when you first get it). Cons: Recommend getting a more durable bat, to exspensive for how often it brakes. Pros: This bat is no doubt the best bat I have ever used. I bought it in early February and it lasted until this afternoon, which is mid September (7 months). Overall, this is a very durable bat with outstanding pop. I used it in a all BBCOR aluminum league and got 2 other people to switch from aluminum to wood. One of them bought this very bat based on how much he loved its performance. We nicknamed it the Wooden Wonder. I highly encourage you to buy this bat. It is worth every penny. Cons: The only thing that might be a problem to some people are it scuffs easily from balls. I liked this because it shows you it you hit the ball hard. Otherwise, this bat is flawless. Pros: I bought this bat for my son. He likes it a lot especially how cool it looks. The bat has nice pop in the cage, didn't really see that on the feeld as it didn't last that long. Cons: Bat is top heavy. My 13 yr old had trouble getting it around quickly in real game ABs. Pros: I am a sophmore who plays baseball year round. I got this bat at the begining of freshman year. I used this bat for thousands of swings and it hit very nicely. I used it for mainly BP in the cages, and sometimes in wood bat tournaments during summer. Was so sad to see it finally take its last swing today :( great bat. Cons: Marks come easy but that doesnt bother me. Paint will also chip after a few days of swinging. Pros: Good bat speed. Decent amount of pop. Cons: Broke on third hit on 85 mph. Pros: Light weight and good pop. Cons: Sheared in two in batting practice. Hit off end on 40 mph practice pitch. I had it for one week. Was warned! Pros: Even if you don't barrel up the ball with this bat it has enough pop to hit doubles. It looks great and feels great. Best for power hitters but anyone can use this bat. Cons: Can seem a little top heavy at first but the more you use it that feeling gets normal. Pros: I got the bat halfway through my freshman summer and after hundreds of games it finally broke 2 years later during my junior summer. bat has serious pop feels great. Pros: lots of pop pretty good feel pretty durable good finish. Good for power hitters because it is slightly end-loaded, but it has a large barrel. Cons: paint may chip a bit, but after about 5-6 months of use. Pros: very balanced, feels great in hands with thin handle, has an awesome sound to it. Pros: Good pop...distribution of the weight of the bat is good...impressed how the wood is compressed, giving the bat a longer life span. Pros: This bat has a lot of pop and a huge sweet spot compared to some other woods iv'e used. I have taken more than a few off the handle and it has not broke. So i am over all pleased with the way this bat performs. Cons: If any it's a little barrel heavy, but that is expected with this bat. Other than that no complaints! Pros: looks awesome, but has solid pop sounds great when you really connect with the ball. i finally got some live pitching while using this bat and i feel that it is better than using my metal bat. has not cracked or split in anyway. Has the biggest sweet spot also. Pros: Bought two for my two boys. They love the feel and the ball jumps of the bat. No vibration or sting. Quality product. Balance is perfect.huge sweet spot. Bbcor certified. Cons: Because its so end loaded it will take u a minute to get the feel for it. Pros: The bat has great pop. Im a 6'3" 225lbs power hitter and while the bat lasted, it had amazing pop. Cons: Ive gone through two of these in the matter of 2 games. First one lasted about 10 contacts(2 hits, rest fouls went 2-3 this game with a deep double and a broken bat single). This first bat broke off of my own error with taking one off the end of the bat. Still was a base hit. Second bat(which was the under warranty replacement they sent me) lasted literally the first ball thrown to me/hit and exploded like a firework. My teammates got a kick out of the fact that the place of contact on the bat was in the perfect sweet spot for a hit and the bat just flat out failed...The ball left lace marks where I had hit the ball just to confirm. I will unfortunately not be purchasing this bat again. For the cost of 140 per bat normally its just not worth the investment. I have been using the Utley and has done well thus far. Cons: broke 1st game of the season. Cons: bat shattered on 3rd at bat. Even with warranty, out the cost of lizard skin, shipping costs, and having to buy another bat, while waiting for the replacement to arrive. Cons: Broke after about 2 years. Pros: looks good, had pop before it broke. Cons: Broke in the 4th game. my som got fooled by a outside curve ball and swung early, he fouled it off the cup and it split the bat in half. It was a waste of 150$. Have a question about the Marucci Albert Pujols Maple Wood Baseball Bat: AP5NB Adult? Ask our team of experts and they will respond within 24 hours. Is this bat 2 5/8 in. bat diameter? This will actually be about a 2 1/2 inch barrel. Do you think the AP5NB or the JH22 is a better bat? That depends on your preferences as a player. Barrel size will be the same. The AP5NB has a slightly thicker handle than the JH22. The JH22 will feel slightly more end-loaded compared to the AP5NB. Both are made from the same high-quality maple wood. Why aren't you selling the 32" model? We do sell the AP5NB in 32". However, we are currently out of stock as of 9/27/11. The 32" bats should be arriving in the next two weeks. My son is 12 years old and has been told to get a wooden bat for a tournament. Is this a good one to begin on or are there others you recommend? He is tall and strong. The AP5NB is an adult bat and might be a little heavy for a 12 year old. I would recommend the Marucci Bat Co. Maple Wood Bat: CU26YB Youth model. Will this be high school approved for 2012 season? Do they have to have the BBCOR stamp? Wood bats are not required to have the BBCOR stamp. Only composite and alloy bats. The difference in all of the Marrucci bats. Freshman baseball using BBCOR or wood. Looking for a good wood bat for my son. Not quite sure what the difference is between the different models. The AP5NB is an excellent beginning bat for wood. It has a long barrel, gradual taper for nice balance. Is this bat very heavy or just enough? This bat has a very nice balance to it. Wood bats are not required to meet BBCOR standards. This is legal for use even though it does not have the BBCOR stamp. What size & weight does Albert Pujols use for his game bat? It's changed a bit over the years, but most recently, Albert has been using a 34 inch bat that weighs right around 32.5 ounces. Just wanted to say love this bat. I've been hitting with it for a couple of weeks (borrowing my friends) but just wondering do these bats come in a variety of colors for ex: do you guys have one that has a black handle and pine barrel? Unfortunately, the only colors we have are the ones that show on the website, since this is a players model most manufacturers will only use the colors that the player uses. Is it possible to get this bat at 30 inch length? Unfortunately, Marucci does not make this bat in a 30 inch model. Not many adult wood bats are available in a 30 inch model, but a few are: Louisville HM125BH, Rawlings 225LAP, Louisville M9C271BHC and Louisville M9C271NC. Looking for a -3 and I am leaning towards this bat. However, while your site says it is approximate -3 another site tells me that it is a -2. Help me understand the two different descriptions. With wood bats, it is harder to be exact as with metal bats, on the weights. Moisture in the wood, and the types of wood play part of disparity. With adult bats the weights are approximately a -2 to a -3. Is the 33 inch bat 30 oz? Are these drop 3's? They are approximately a drop 3. How heavy is this bat? Is it a standard -3? With wood, it isn't as exact as metal bats are with weights. Due to the moisture in the wood, the weights vary between a -2 to a -3. Do these bats break very easily? Marucci's "Bone-rubbed" process does make the bats more durable. But as with any bat, reasonable wear and tear, amount of use, some weather conditions, play a factor. But no, I don't believe it will break easily. Ash or maple for power hitters? Maple is a harder would, you should get a little more pop off of a maple bat. Have a boy 5'10" 155 lbs who is currently swinging Easton -3 33 inch. What do you suggest for a Pujols wood bat replacement? I've been told wooden bats are graded via a dye test with an "8" being perfect. In other words the dye doesn't leak to the left or right. Is this true and if it is, what grade is this Pujols bat? What is the weight in this bat? The AP5NB has an approximate -3 length to weight ratio. Because wood has a different consistency from alloy or composite, the weight will be an approximate weight, not exact. A -3 length to weight ratio means the 31 inch will weigh approximately 28 ounces, 32 inch will weigh approximately 29 ounces, 33 inch will weigh approximately 30 ounces, etc. All you have to do to find the bat"s approximate weight is subtract 3 from the length of the bat to find its weight in ounces (i.e. 33 – 3 = 30 ounces). Because wood is a different consistency, that weight may vary by a half ounce or so. Which bat is more balanced; This AP5 or the CU26? Also, which handle is thicker? Both bats will have a balanced feel. The CU26 will have a thicker handle. How do I get this bat personalized with my son's name engraved on it? 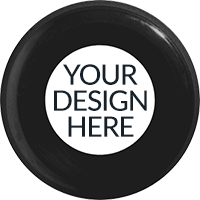 We do not do personalizations here, but you can Google in your local area for woodsmiths. What type of maple is used to make this bat? This bat is made of premium pro maple and is high quality. This is a very nice bat. Does JustBats.com offer any lifetime warranty on any adult wooden bats? Can you get this in a bat pack or do you have to buy alone? This one is only sold individually, at the moment. It is an approximate -3. So if your bat is a 33inch, the weight would approximately 30 ounces. Do you think the thin .90 inch handle will make this bat easy to break if you get a pitch off the handle? This is a very durable bat and odds are this bat will break the closer the inside pitch is. Do you have 31 inch or 32 inch models available in this bat? At this moment, we are sold out of those sizes. But, keep an eye on our website as we do have more coming. Which Marucci bat would be suited for a contact hitter? Is the AP5 a good bat for a power hitter or would a CU26 be better? AP5 is definitely constructed for a power hitter. What Marucci bat offers a midway point between the AP5's power and the JR7's balance? The best option between the AP5NB and the JR7 would be the Vernon Wells (VW10). This is will have the balanced feel like the JR7. It will also feature a medium barrel and have a thick handle like the AP5NB. Is this bat legal for the high school 2012 season? Yes. This bat is approved for high school play. This bat is very durable and will be similar to the bat Albert Pujols swings. Is there any weight differential between the AP5NB and the CU26B? Both the AP5NB and the CU26b have a length to weight ratio of approximately -2 to-3. For more information on our wood bats feel free to contact us at 1-866-321-2287. Wood bats are not required to carry the new BBCOR stamp. It is legal under NCAA and NFHS standards. The AP5NB is approximately 2 1/2 inches in diameter. Does this bat come with a warranty? If so, how long does it last for? Most wood bats, including this on, are not covered under warranty. However, if it does break within 30 days of your purchase, give us a call at 1-866-321-2287 and we'll let you know what the options are. Does the AP5 have a week spot on the barrel like most older wood bats? Is there a particular way to hold the bat such facing the trademark a certain way? Trademarks are put on all wood bats in a specific spot, for a specific reason. When hitting with wood bats the first thing the player must do is make sure the label (trademark) of the bat is straight up or straight down at the moment of contact. The area to the sides of the trademark are where the grains of the wood are the hardest and strongest. Is the AP5 Albert Pujols bat BBCOR approved? Yes. The AP5NB is considered a BBCOR approved bat. Wood bats are not required to carry the new BBCOR certification mark but they are legal for leagues that require the use of a BBCOR bat. The only wood bats that need the BBCOR stamp are bamboo bats. Although wood bats are prone to breaking, the Marucci Albert Pujols Maple Wood Bat: AP5NB Adult is a very durable wood bat, so won't break as easily as most other wood bats. For a power hitter is this bat or the JH22 a better option? The Marucci Albert Pujols Maple Wood Bat is balanced and the JH22 is slightly end loaded. Most power hitters prefer an end loaded bat. Is this bat BBCOR? Because it seems great but not sure if I should get it. The AP5NB is BBCOR certified. Maple wood bats do not require a BBCOR stamp. How heavy is this bat, and is it a good bat for power? the AP5NB is going to have an approximate -3 length to weight ratio. It is a very good option in wood for power. What size is the barrel on this bat? Also, what is the largest wooden barrel allowed in high school play? The barrel diameter is approximately 2 1/2 inches. 2 5/8 inches is the biggest barrel size allowed. There will not be any wood bats with barrels bigger than that. Is this bat warranted, and how long will this bat last? The AP5NB does not come with a warranty. Unfortunately, wood bats do not have set lifespans. Does this bat have an unfinished handle or is just a clear coat? If it is clear which Marucci wood bats do you have that have unfinished handles? The Marucci Albert Pujols Maple Wood bat has a clear coat on the handle. The Louisville Slugger Major League Baseball Player Bats Wood Bat: GI13EL Adult has a natural handle and would be a good choice. If I swing a 32 inch aluminum bat, what size wood bat should I use? We suggest you still use the same 32 inch length in a wood bat that you currently use in aluminum. Are these bats made of rock maple or just a select grade maple? Rock maple is just another term of hard maple. The Marucci AP5 is made from hard maple. Does this bat have the manufacturers warranty? No the regular wood bats do not have a manufacturer's warranty. Some of the composite wood bats do have the manufacturer warranty, but this Marucci Albert Pujols Maple Wood Bat: AP5NB does not. If I get this bat in 31 inches how heavy would it be? The Marucci Albert Pujols Maple Wood Bat has a approximate -3 Length to Weight Ratio. If you purchased a 31" then the weight would be approximate 28 oz. What is the diameter of the barrel? Is it 2 5/8 inches? The Marucci Albert Pujols Maple Wood Bat: AP5NB Adult has a 2 1/2" barrel diameter. Compare the sweet spot between CU26 and AP5, which one is larger? The sweet spot on the Maurcci Albert Pujols Maple Wood Bat AP5NB is a little larger than the Chase Utley Maple Wood Bat CU26. The Pujols is end loaded, making it better suited for power hitters, whereas the Utley is more balanced for contact hitters. Would I be allowed to use this bat in high school? As in BBCOR certified? Yes, the Marucci Albert Pujols Maple wood bat is high school approved. Would I be aloud to use this bat in high school for a BBCOR bat? Yes. Bats for high school must be BBCOR certified or a wood bat. Which bat is better for a power hitter, the Marucci JB19 or the Marucci AP5NB? Both are good for power hitters. The Marucci AP5NB will have a slightly smaller handle and longer barrel than the Marucci JB19. The Marucci AP5NB has a 2 1/2" barrel diameter. I am a power hitter that also hits for a lot of contact, would the Albert Pujols version or the Chase Utley version be better for me? From my personal experience, they are both great bats, and you would be successful with either one. If I customized the AP5 bat to be a -3 or a -4 would that change the weighting and/or the hitting ability of the bat? The Marucci Albert Pujols Maple Wood Bat cannot be customized. All wood bats will have approximate weights. The Marucci Albert Pujols Maple Wood Bat has an approximate -3 drop. What is the best Marucci bat? The Marucci Albert Pujols Maple Wood Bat is one of the best Marucci wood bats on the market. Is the JB19 Marucci better than the AP5NB Marucci? The Marucci JB19 and AP5NB are made from the same bone rubbed maple wood so the performance will be the same. The rest is personal preference on weight distribution and handle thickness. Do Marucci bats come with a ink dot on the handle? Marucci's bats do not have the ink drops on their handles. Does this bat or does the JB19 Marucci bat have a bigger handle and which one has a bigger barrel? Both the AP5NB and JB19 have handles around 15/16". The AP5 has a slightly larger barrel though, around .2" larger than the JB19. Will this bat break easy if you hit a bat off the handle or end of the bat? Yes. All wood bats (regardless of quality) break easier when you hit a ball off the handle or end of the barrel. What is the barrel size of this bat? The barrel size on the Marucci Albert Pujols Maple Wood Bat: AP5NB Adult will be 2 1/2". How heavy would it be if I bought my son a 32 inch? The bat would be roughly 29 ounces. With wood bats it can be a little heavier or lighter. 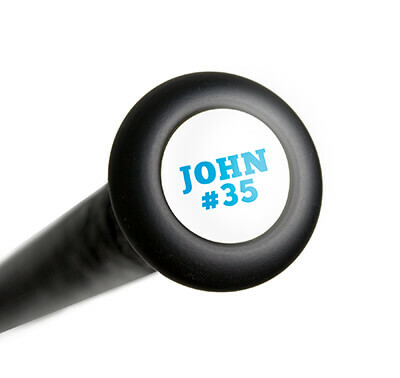 Would you prefer this bat or the Marucci Jose Bautista Maple Wood Bat: JB19 Adult bat? Both the Marucci Albert Pujols Maple Wood Bat and the Marucci Jose Bautista Maple Wood Bat are high quality bats that have a ton of pop. The JB19 is going to have a thicker handle and smaller barrel compared to the AP5NB. The AP5NB has a larger barrel and smaller handle. How heavy would a 33 inch with this and the JB19 bat be? These are going to be approximate -3 bats, so the weight is going to be around 30 onces. Is this bat more end loaded than the JB19 and the Rawlings VELO maple ace? The Marucci Albert Pujols Maple Wood Bat: AP5 will be slightly more endloaded compared to the JB19 or Rawlings Velo Maple Ace. Would this bat be approved for high school play? Yes. High School rules require bats to be either BBCOR certified or wood bats, so the Marucci Albert Pujols Maple wood bat will be legal. What size is the the barrel? The Marucci Albert Pujols Maple Wood Bat: AP5NB Adult has a 2 1/2 inch barrel. I have had the Louisville MLBM9YBH for a year and it hasn't broken yet. The reviews for the AP5 say that it brakes easily. Will it last as long as the Louisville did? The Marucci Albert Pujols Maple Wood Bat: AP5NB Adult is a very durable. The life span of each bat can vary, but the AP5 is a very strong bat. Is this bat approved for USSSA? The Marucci Albert Pujols Maple Wood Bat: AP5NB Adult is legal In USSSA. I just bought this bat and I was wondering if I could use it for high school in Florida? The Marucci Albert Pujols Maple Wood Bat: AP5NB Adult bat is approved for play in High School in all states. What is the barrel size and handle size? The Marucci Albert Pujols Maple Wood Bat: AP5NB has an approximate 2 1/2" barrel and 15/16" handle. What bat is better? The Marucci AP5 or Marucci JB19? The Marucci AP5 will feature an extended barrel with large diameter and a tapered handle/knob. The Marucci JB19 features a gradual taper into a mid-sized barrel. Both bats will have similar performance. How is the Marucci Albert Pujols AP5's barrel bigger than the Marucci Jose Bautista JB19's barrel if they are both 2 1/2"? Both the Marucci Albert Pujols model and the Marucci Jose Bautista model have 2 1/2" barrels. The Albert Pujols model will have a long barrel with a tapered handle, whereas the Jose Bautista model will have a gradual taper into a mid-sized barrel. I'm a 12 year old I'm 5'9" and I guess I swing pretty hard so if I get the AP5 will I break this bat any time soon? Maple is one of the strongest wood materials made in bats today. Even will that, there is no way to determine when a bat will brake. How does this compare to the CUTCH22? The Marucci Albert Pujols Maple Wood Bat: AP5NB Adult and the Marucci Andrew McCutchen Maple Wood Bat: CUTCH22 are just two player model bats. They will be very similar in almost every aspect. What is the weight of the CUTCH22 bat that is 31 inches? All Adult Marucci wood bats, like the Marucci Albert Pujols Maple Wood Bat: AP5NB Adult and CUTCH22 models, will have an approximate -2 to -3 length to weight ratio. In a 31" model, they will weigh approximately 29 to 28 ounces. I'm 13 years old and I'm looking for the perfect wood bat. I like bats that feel light in my hands. I'm a contact hitter and I bat 1st or 2nd in the line up for my team. I'm a fan of the 271 turn bats. What wood bat is good for me? If you are looking for a balanced 271 turn model the Sam Bat Maple Wood Bat: KB1 Walker/Black Adult is going to be a great choice for you. They are very durable and high performing bats. How many ounces is the Pujols AP5NB? The Marucci Albert Pujols Maple Wood Bat: AP5NB Adult bat has an approximate -3 length to weight ratio. To determine the approximate weight of the model you choose, subtract 3 from the length of the bat. Are any of Marucci's bats a 271 model? Marucci doesn't use traditional turning model numbers since all of their custom player models differ from the standard turns. What Louisville Slugger model is the AP5 most similar to? The Marucci Albert Pujols Maple Wood Bat: AP5NB Adult is difficult to compare to other brands, as they don't release their turn models. The AP5NB is relatively similar to the Louisville Slugger MLB Prime Buster Posey Maple Wood Bat: WBVM14-43CNA Adult, as both have large barrels, a slight endload and a cupped end. What's the difference between the AP5BN and the AP5NB? The only difference between the Marucci Albert Pujols Maple Wood Bat: AP5NB Adult and AP5BN models is their color scheme. The AP5NB features a natural handle and black barrel finish while the AP5BN features the inverse of that paint scheme. Is the Marucci Albert Pujols maple wood bat AP5NB adult meant just for power hitters, or will it also be good for contact hitters and still have a lot of pop? The Marucci Albert Pujols Maple Wood Bat: AP5NB Adult is a great bat and would be good for both contact and power hitters. Is this a larger barrel than the barrel on the JB1 model Sam Bat? The barrel on the Marucci Albert Pujols Maple Wood Bat: AP5NB Adult and the JB1 Sam Bat will be almost identical. Is Maple or Ash better for power hitters? Ash is more flexible and tends to flex rather than break. Maple has a greater surface hardness than Ash which some players believe gives them a better performance. Is this bat very durable? Also, are they as durable as BBCOR wood bats? The Marucci Albert Pujols Maple Wood Bat: AP5NB Adult is a top of the line wood bat and will be very durable. BBCOR wood bats will be very similar in durability as well. Do you get a warranty on bat? The Marucci Albert Pujols Maple Wood Bat: AP5NB Adult does not come with a warranty. Are the Custom Pro model Marucci bats the same thing as the Pro Model Marucci bats, or are they different? The Custom Pro models are only available on MarucciSports.com, and you are able to customize many aspects of the bat including length to weight ratio and color. We only carry the Pro Models which are made of the same quality wood, but they are not able to be customized. How do you keep the bat clean? Like how do you get marks off of it and stuff? And also, which is better, pine tar or tape? The Marucci Albert Pujols Maple Wood Bat: AP5NB Adult can be cleaned with soap and water. A Magic Eraser can also be used. Tape is cleaner and can be re-taped, while pine tar is on there for good. Pine tar is typically tackier, for a more secure grip. Is this more balanced than the CUTCH22? Which is better? The Marucci Albert Pujols Maple Wood Bat: AP5NB Adult and the CUTCH22 are slightly end loaded. Both use the same quality maple wood. What is the largest outside diameter of the AP5? The Marucci Albert Pujols Maple Wood Bat (AP5NB) has an approximate 2 1/2" barrel. Is the handle finished or unfinished? How does it compare to the SSK Robinson Cano bat for a 5'11" 210 power hitter? The Marucci Albert Pujols Maple Wood Bat (AP5NB) Adult has a finished handle. The AP5 is going to have a smaller handle as well. The SSK Robinson Cano Maple Wood Bat (RC24) Natural/Black Adult will have an unfinished handle and a slightly smaller barrel length. I'm an 8th grader playing baseball for my school. The bat needs to be drop 3 and BBCOR certified. Would I be able to use this bat? Does it meet those standards? The Marucci Albert Pujols Maple Wood Bat (AP5NB) is made of one solid piece of wood, so it does not have to meet BBCOR certification. Bats made of solid maple, ash, hickory, and birch are not required to be BBCOR approved. What's the actual size of the barrel? The Marucci Albert Pujols Maple Wood Bat (AP5NB ) has an approximate 2 1/2" barrel. What type of bat do you think is better? Marucci's or Sam Bat? The Marucci Albert Pujols Maple Wood Bat: (AP5NB) and Sam Bat models both use a very high quality maple wood. They are similar in performance and durability. Which bat is better? The Marucci AP5 or CU26 model. I don't know which to get. The Marucci Albert Pujols Maple Wood Bat (AP5NB) features an end loaded swing weigh and a thick handel. This would be a great option for you if you are more of a power hitter. The CU26 features a more balanced swing weight and a thinner handle. The CU26 would be better if you are more of a contact or line drive hitter. The Marucci Albert Pujols Maple Wood Bat (AP5NB) will have an approximate -3 length to weight ratio. I had the Marucci CU26B and I swung with it perfectly and hit good. Would I feel a big difference by buying the AP5 or the JB19? What would be the differences in the swing weight, barrel size, etc.? The Marucci Albert Pujols Maple Wood Bat (AP5NB) will feel slightly end loaded compared to the Marucci Chase Utley Maple Wood Bat (CU26B) and the Marucci Jose Bautista Maple Wood Bat (JB19). All of the barrels will be approximately 2 1/2". I'm 6'0" and 190 lbs and more of a power hitter. Would you guys recommend the JB19, the AP5 or the CUTCH22? This is really a personal preference. All can be used by power hitters, and are designed for hitters that are power hitters. The Marucci Albert Pujols Maple Wood Bat (AP5NB) is more end loaded than the others. If you prefer that weight distribution, I would go with that one. The American Legion Baseball rules say on Wood Bats in the Bat Rule "The bat must be a smooth, rounded stick not more than 2¾ inches in diameter at its thickest part nor more than 42 inches in length. An indentation in the end of the bat up to 1 inch in depth is permitted (cupped bats)." Does this bat meet those requirements? Yes, the Marucci Albert Pujols Maple Wood Bat (AP5NB) is legal for American Legion play. I am a contact hitter and I hit mostly line drives. Which Marucci Wood Bat would you recommend for me? The Albert Pujols Maple (AP5NB) has a slightly end loaded swing weight. For a contact hitter I would take a look at the Chase Utley (CU26B) or the Andrew McCutchen Maple (CUTCH22NC) because of their balanced swing weight. I'm looking for my first wooden bat, but I don't want one with a 2 1/4" barrel. What is the diameter of the barrel for the AP5YB? Marucci Albert Pujols Maple Wood Bat (AP5YB) will have a 2 1/4" barrel. If you want a bigger barrel diameter, the Marucci Albert Pujols Maple Wood Bat (AP5NB) is an adult bat that has a 2 1/2" barrel. Is this bat more balanced than the JR7? The Marucci Albert Pujols Maple Wood Bat (AP5NB Adult) and the Marucci JR7 will both be very balanced and feel similar in swing weight. Does the AP5 have a thicker handle than the CUTCH22? The Marucci Albert Pujols Maple Wood Baseball Bat (AP5NB) has a 29/32" handle and the CUTCH22 has a 31/32" handle. What is the difference between the Marucci AP5 and Marucci JB19? The Marucci Albert Pujols Maple Wood Baseball Bat (AP5NB) features a larger barrel diameter than the Marucci Jose Bautista Maple Wood Baseball Bat (JB19). How much would a 31 inch Marucci AP5 weigh? The Marucci Albert Pujols Maple Wood Baseball Bat: (AP5NB) Adult will have an approximate -3 length to weight ratio. Therefore, the 31" would weigh around 28 ounces. What is the barrel size of the AP5? Marucci does not publish exact measurements of its Pro Cut models like the Marucci Albert Pujols Maple Wood Baseball Bat (AP5NB). It has a slightly larger than average barrel for a wood bat so it would be close to a 2 5/8 inch diameter. How does the Marucci AP5NB compare to the Marucci AP5BN besides the color? The Marucci Albert Pujols Maple Wood Baseball Bat (AP5NB Adult) will be the exact same bat as the AP5BN. The only difference will be the color scheme. What are the main differences between this model and the David Ortiz model? The Marucci Albert Pujols Maple Wood Baseball Bat (AP5NB Adult) is going to have a long barrel with a tapered handel giving the bat a balanced feel. The Marucci David Ortiz Maple Wood Baseball Bat (PAPI34) and the Albert Pujols bat are going to be bone rubbed with a cupped end. The Marucci Albert Pujols Maple Wood Baseball Bat (AP5NB Adult) is going to be a balanced bat and the weight will be distributed evenly. I am 15 years old, weigh 140, and I'm 5'10". My wooden bat just broke, so I'm looking at the Marucci bats. I am a contact hitter. What bat do you suggest? For your size we would recommend a 32" bat. The Marucci Albert Pujols Maple Wood Baseball Bat (AP5NB Adult) is a great dense bat. Its long barrel and tapered handle give it a light and balanced feel. I am 5'2" and 140 lbs. I hit for power. What size bat do you recommend for me? For a player of your size, our bat coach would recommend the Marucci Albert Pujols Maple Wood Baseball Bat (AP5NB Adult) in a 31" model. I am a 6'2", 260 pound power hitter. Which bat and which size do you recommend for me? I would recommend a 34" Marucci Albert Pujols Maple Wood Baseball Bat (AP5NB Adult). Is the AP5 end loaded? The Marucci Albert Pujols Maple Wood Baseball Bat (AP5NB Adult) is not going to be end loaded. The long barrel with tapered handle makes the bat feel lighter and more balanced. How much does this bat weigh? Is it balanced? The Marucci Albert Pujols Maple Wood Baseball Bat: AP5NB Adult is an approximate -3 length to weight. It is very balanced in swing weight. It will not feel barrel heavy at all. Are there any differences between the AP5NB and the AP5BN? The only difference between the Marucci Albert Pujols Maple Wood Baseball Bat (AP5NB) Adult and the AP5BN are the paint schemes. Is it legal to use in high school baseball? Yes, the Marucci Albert Pujols Maple Wood Baseball Bat (AP5NB Adult) is approved for high school play. Wood bats comprised of one wood type do not require any type of certification to be legal for play. Would this bat have a heavier swing weight than the Demarini D110? The Marucci Albert Pujols Maple Wood Baseball Bat (AP5NB) Adult and the DeMarini Pro Maple Composite Wood Baseball Bat (DX110) Adult both have a balanced swing weight. The Marucci Pujols bat is an approximate -3 length to weight ratio. The DeMarini Pro Maple bat has an approximate -2 to -3 length to weight ratio. Which Marucci pro model feels most like the Tucci Pablo Sandoval model? The Marucci Albert Pujols Maple Wood Baseball Bat (AP5NB) Adult will have a similar feel to the Tucci Pablo Sandoval Signature Pro Select Limited Maple Wood Baseball Bat (TL-PANDA). What is the handle thickness? The Marucci Albert Pujols Maple Wood Baseball Bat (AP5NB) Adult has a 29/32" handle. Is the AP5 similar to the Buster Posey Louisville Slugger Prime (243C) model? The Marucci Albert Pujols Maple Wood Baseball Bat (AP5NB) Adult and the Buster Posey model are fairly different. The AP5NB has an approximate 2 1/2" barrel diameter and a 29/32" handle. It also features a balanced swing weight. The Buster Posey model features a larger 2 5/8" barrel diameter with a 15/16" handle. It features an end loaded swing weight. Which Marucci bat is close to a 271 cut? The balance and barrel size of the Marucci Albert Pujols Maple Wood Baseball Bat (AP5NB) would be comparable to a 271 but none of them would be exactly the same as that turn model. What is the drop weight featured on this bat? This Marucci Albert Pujols Maple Wood Baseball Bat (AP5NB Adult) will feature an approximate -3 length-to-weight ratio. I am 5'4", 110 lbs., and am 13 years old. I am a contact hitter that can display a good amount of pop. What Marucci bat model would be best for me? I would recommend a 31" Marucci Albert Pujols Maple Wood Baseball Bat (AP5NB Adult). The McCutchen and Utley models would also be good options for you. What is the difference between this bat and the Marucci Albert Pujols Maple Wood Baseball Bat: AP5BN Adult? The only difference between the Marucci Albert Pujols Maple Wood Baseball Bat (AP5NB Adult) and the Marucci Albert Pujols Maple Wood Baseball Bat (AP5BN Adult) is the paint scheme. How come some Marucci bats in the big leagues have ink dots on them and none of the Marucci bats on the site have ink dots? There might be differences in the wood used in the pro level Marucci bats. With our Marucci bats including the Marucci Albert Pujols Maple Wood Baseball Bat (AP5NB Adult) the sticker/label acts as the ink dot. When hitting with the bat you will want to make sure that the label is facing up. I am 5'10" 175 lbs. What size should I get? Given your height and weight, I would recommend going with the 32" Marucci Albert Pujols Maple Wood Baseball Bat: AP5NB Adult. Can you put the Zepp system on the handle? Yes, the Zepp Baseball/Softball Swing Tracking System easily attaches to any baseball or softball bat. 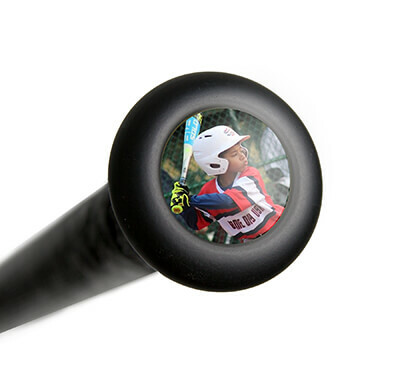 It will most definitely attach to the knob of this Marucci Albert Pujols Maple Wood Baseball Bat (AP5NB Adult). Is this bat one solid piece of wood? Is it composite? The Marucci Albert Pujols Maple Wood Baseball Bat (AP5NB) Adult model is a one-piece all maple design. The Marucci Albert Pujols Maple Wood Baseball Bat (AP5NB) is a standard maple bat. It does not have any composite material in its construction. Is this bat BBCOR certified or are there any other Marucci wood bats that are BBCOR? I am twelve yrs old, 145 lbs, and 5' 5.5". What size bat should I get? Based on your height and weight, I would recommend that you swing a 33" model. I am 5'6", 135 lbs 14 yrs old. What size of bat would you recommend? Based on your height and weight, we would recommend getting the Marucci Albert Pujols Maple Wood Baseball Bat: AP5NB Adult in a 31 inch model. I am 5'8" and 175 lbs. What length do you recommend? Based on your height and weight, we suggest a 32" model in the Marucci Albert Pujols Maple Wood Baseball Bat: AP5NB Adult. How much does the AP5NB 32 inch bat weigh? The Marucci Albert Pujols Maple Wood Baseball Bat: AP5NB Adult featuers an approximate -3 length to weight ratio so the 32 inch length will weigh approximately 29 ounces. Is this BBCOR certified for high school play? If not, is this a good training bat? It does not have a BBCOR stamp but some High School Leagues allow use of wood bats. I would check what the rules are in your region. And yes the Marucci Albert Pujols Maple Wood Baseball Bat (AP5NB) Adult is a very good bat for game use and training use. The Marucci Albert Pujols Maple Wood Baseball Bat: AP5NB Adult will feature a barrel length of approximately 12". I am 6'2" and 155 lbs (14 years old). What size bat should I get? Based upon your player's height and weight, we would make a general recommendation of looking at the 33" option of this Marucci Albert Pujols Maple Wood Baseball Bat (AP5NB Adult). As long as you feel that you can handle the approximate drop weight of that 33" length, then that size would be my recommendation. Which Marucci wood bat features something similar to a 243 turn model? I would say that the 2016 Marucci Buster Posey Maple Wood Baseball Bat (POSEY28) is going to be the most similar to that 243 turn model. Would you recommend this bat for a freshman in high school? He is 5'8" at 155. Does this bat meet high school regulation? The Marucci Albert Pujols Maple Wood Baseball Bat: AP5NB Adult is a very good option for a high school player that wants to use a wood bat. The fully maple design and approximate -3 length to weight ratio make it legal for play in high school. Based on the players height and weight, we suggest a 32" model. I am 24 years old, 5'10" and 180 lbs. What size should I get? Based on your height and weight, we would recommend getting the Marucci Albert Pujols Maple Wood Baseball Bat: AP5NB Adult in a 33 inch model. I am 6'4" and 235 pounds, what length would you recommend? I would recommend a 34'' in the Marucci Albert Pujols Maple Wood Baseball Bat: AP5NB Adult. Swinging a 32" AP5 today, but always prefer a thinner handle. What is the difference between the AP5 Pujols, Cutch22 and the Posey bat? In my opinion, this Marucci Albert Pujols Maple Wood Baseball Bat (AP5NB Adult) will be the most balanced of the bats being considered. However, I believe the handle thickness on this AP5 and the handle thickness on the Cutch22 will be very similar (Cutch22 has more of a handle taper than the AP5 and more of an end-load when compared to the AP5). Lastly, the Posey28 will have the thinnest handle of all three bats and will feature the most end-loaded feel of all three bats. My son is 9 years old, 4'7" tall and weighs 115 lbs. He is a great contact hitter, but I want him to have more bat speed through the zone and more power out of his swing. What bat should he get and what size?This is for Little League. We would recommend a 30" length for someone of his size. Unfortunately we can't recommend a weight as there are too many unknown factors for us such as strength, swing efficiency, whether they choke up or not, etc. I would not recommend an adult wood bat like this Marucci Maple Wood AP5. It will be much too heavy for him. You will want to look at one of the new 2018 USA Bat certified models that are listed here: http://www.justbats.com/products/approved%20for~usa%20bat/. Thickest youth wood bat from Marucci that I can customize on their website? The Marucci Albert Pujols Maple Wood Baseball Bat: AP5NB Adult is designed for an adult player and will have more of a I13 turn model. You may want to reach out to Marucci directly with any questions regarding custom bat orders as we do not offer this on our site. Is this the same wood as the youth or a bigger barrel? What's the difference? The main differences between the Marucci Albert Pujols Maple Wood Baseball Bat: AP5NB Adult and the youth model is the barrel diameter and length to weight ratio. A youth model will have a 2 1/4" barrel diameter while the adult has a 2 1/2" barrel diameter. As well, a youth model will be -5 length to weight ratio while the adult model is a -3. This Marucci Albert Pujols Maple Wood Baseball Bat (AP5NB Adult) is a well-built bat, however, if you were to take a pitch off the end of the bat -or- the handle, there is a solid chance that the bat may break. That being said, this bat does carry a short 30 day warranty from the purchase date and if the bat broke within that time-period, you would be eligible to return to Marucci for a warranty replacement bat. Does this bat comply with the restrictions below? Just in case you are looking to buy a wood bat here are the rules for the bat in the tournament in Nashville memorial weekend. Will have the schedule today as well. They will supply us with two wood bats. ANY REGULATION WOOD BAT AS APPROVED BY MAJOR LEAGUE BASEBALL MAY BE USED (One piece all wood bat). NO COMPOSITE, BAMBOO OR HYBRID BATS MAY BE USED IN TOURNAMENT PLAY. The Marucci Albert Pujols Maple Wood Baseball Bat: AP5NB Adult would be approved for your tournament based on the rules that have been provided as this bat is constructed from a solid piece of maple wood.